The Cincinnati Art Museum is pleased to announce Cagnacci: Painting Beauty and Death on view March 23–July 22, 2018. This free special feature brings together a select group of Italian Baroque paintings for the first time: three works by Guido Cagnacci and one by Bernardo Strozzi. Death of Cleopatra (1660-62) on loan from the Pinacoteca de Brera (Brera Paintings Gallery) in Milan, Italy. 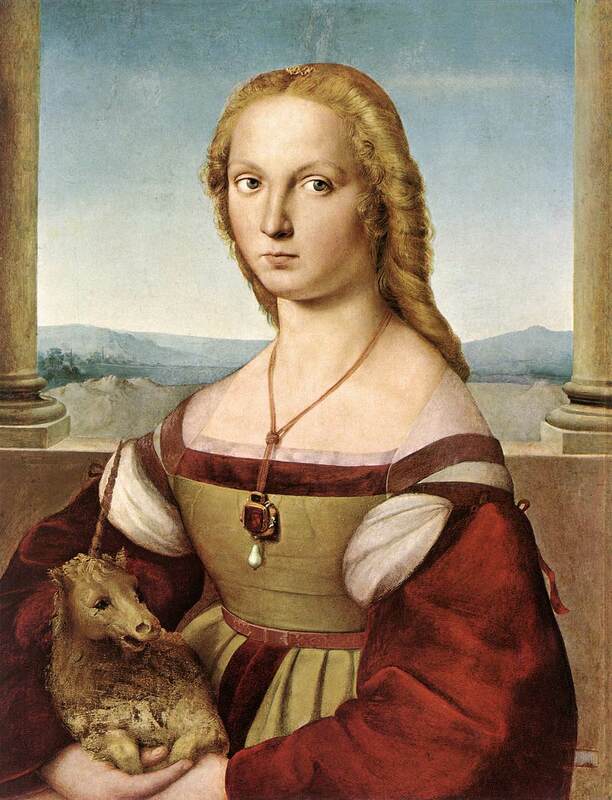 Raphael’s Portrait of a Lady with a Unicorn to the Cincinnati Art Museum in 2015. FIAC facilitated the loan of the Cleopatra from the Brera, which inspired the Museum to seek complementary loans from American institutions. and David Holding Goliath's Head (1650) from the Columbia Museum of Art in South Carolina, which has been recently conserved. These paintings will be joined by David with the Head of Goliath (circa 1636) by Bernardo Strozzi and an etching depicting Cleopatra made in the previous century, both from the permanent collection of the Cincinnati Art Museum. Cagnacci: Painting Beauty and Death is curated by Dr. Peter Jonathan Bell, the Cincinnati Art Museum’s Associate Curator of European Paintings, Sculpture and Drawings. “Cagnacci is one of the great Baroque painters, but relatively unknown outside of his homeland. 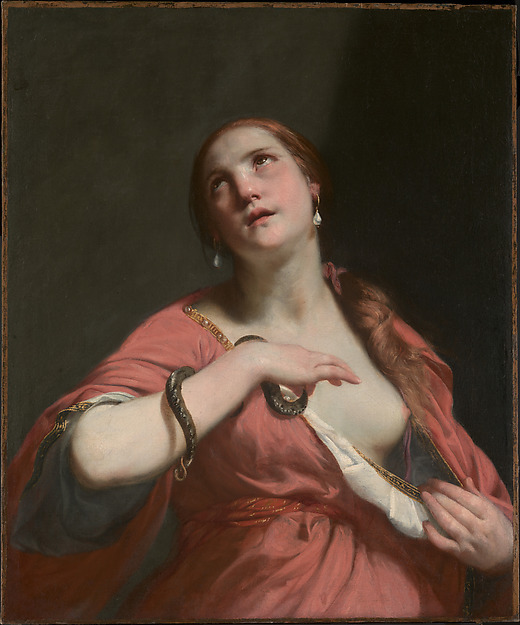 We have a rare opportunity to build on a very recent wave of renewed interest in this artist and exhibit these exquisite paintings together in a new dialogue with each other, including one of the Cagnacci’s acknowledged masterpieces from one of Italy’s foremost public collections,” Bell said. Among Cagnacci’s specialties were single figure paintings made for private collectors, including the three canvases. They were made to engage with their viewers on several levels. Cagnacci presented biblical and historical figures as moral or spiritual exemplars or as cautionary tales, while their ambiguous expressions and settings, the rich colors of their clothes, the dramatic lighting and especially the realism with which the artist painted their bodies, would have offered their owners intrigue and sensual pleasure as well as edification. This group of paintings illustrates Cagnacci’s evolving and highly individual approach to representing the fraught acts of killing and suicide. He imbued legendary sovereigns of the past, Cleopatra, ruler of Egypt, and David, future King of Israel, with surprising humanity in light of the violence and brutality of their acts. Cagnacci was born in 1601, spent much of his life in northeastern Italy and died in Vienna in 1663. His dramatic painting style and unconventional choice of subjects paralleled a seemingly turbulent life that more than once erupted in scandal. Bernardo Strozzi (1581-1644), a Capuchin friar, was the foremost painter in the city of Genoa in the early seventeenth century. He moved to Venice where he painted David with the Head of Goliath about a decade before Cagnacci moved to that city.